Tiësto is poised to explode onto the fashion scene with his new clothing line CLVB LIFE, being released today at Kitson (Los Angeles) and Atrium (New York and Miami). CLVB LIFE launches with a collection of high-end tees catering to club culture, declaring that it’s the first time the electronic dance music movement has been given a voice in the fashion world. The tees are influenced by the key elements of Tiësto’s performances—light, color, and symmetry and the cutting edge graphics appear on fine cotton tops for both men and women. CLVB LIFE apparel promises to set off the next major shift in contemporary fashion, and demonstrate the influence and power of the millions of fans of both Tiësto and electronic dance music. 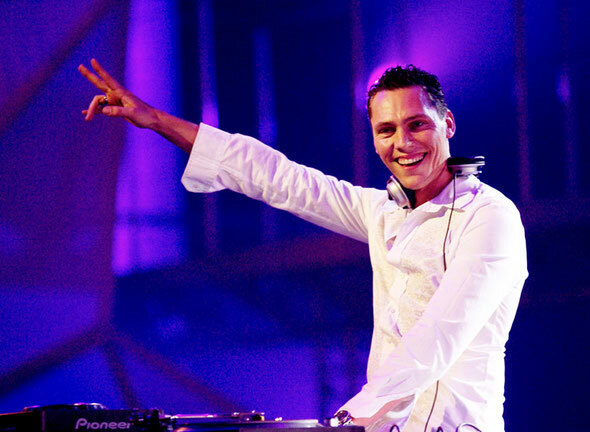 Recently voted “The Greatest DJ of All Time”, Tiësto plays to millions of people a year, with over 200 shows annually, from Rio to Ibiza, Vegas to London, transcending musical genres and appealing to a broad global audience.